At Advanced Cable Ties, we carry an extensive line of cable tie products from standard cable ties, specialty cable ties, stainless steel cable ties, cable tie tools, specialty packs of cable ties, cable tie accessories, bundle management to wire connectors and conductivity accessories. 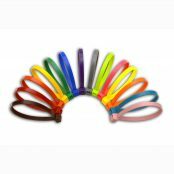 Please take your time and browse through the wide variety of cable tie products we carry. We take great pride in the quality, innovation, and design of our products and back them up with a 100% guarantee. No matter what your installation or project requires, with our large selection of cable tie products, we are confident we have the cable tie you need. Advanced Cable Ties: Type 21S, RoHs Compliant, Easy Handling, Durable Nylon 6/6 Cable Ties, Heavy Duty and Extra Heavy Duty Cable Ties. 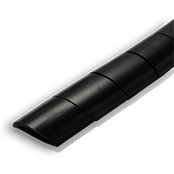 Available in many sizes, lengths, and tensile strengths. 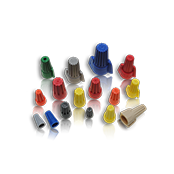 We offer many types of specialty cable ties to solve your specific application needs. Mounting Hole cable ties secure wire bundles to panels. 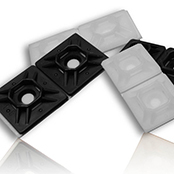 Releasable cable ties for temporary bundling are needed in some circumstances. Color cable ties are great for coding. We have many more you may find useful. 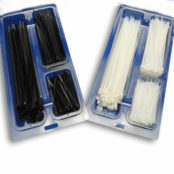 Specialty assortment packs offer all your cable ties in one place. Designed to meet the needs of maintenance and repair personnel, mechanics, contractors, and many other industries. Easy storage within a tool box or on a peg board. Individual compartments with easy access doors eliminates the hassle and time spent searching through various sizes of cable ties in a canister. Exceptional value compared to purchasing items separately. Custom packs available. 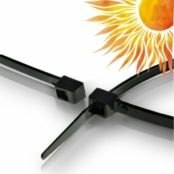 The cable tie accessories we carry are valuable for identifying, bridging, or mounting items to metal panels, powder coated panels, walls, masonry, and a large variety of other substrates. 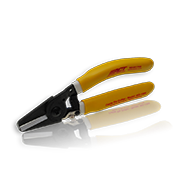 Our company offers an array of cable tie removal and tension tools for all cable tie sizes. 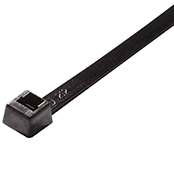 Our cable tie tool designs are known for their ease and speed of use with a comfortable grip, making jobs much quicker.